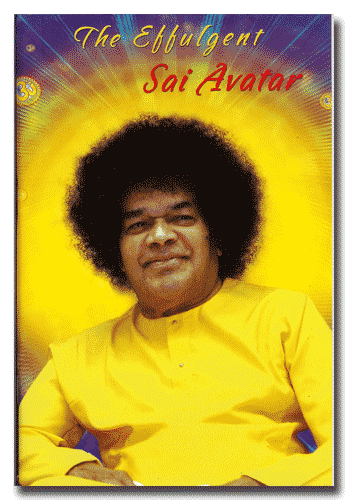 This slim book is a compilation of eight Divine Discourses specially selected for reading by Sai Young Adults, upon the occasion of the World Youth Conference held in Prashanthi Nilayam, July 2007. Attention is drawn to the urgent need for moral reconstruction of society, the uplift of rural masses and the underprivileged, and the need for Sai Youth to remain unpolluted physically, mentally and morally. It is fitting that this small book opens with Sathya Sai’s letter to his brother Seshama Raju, written in May of 1947. Seshama Raju loved his brother and was devoted to him – the letter is addressed, To all who are devoted to Me… This letter gives calm, clear assurance that none may prescribe the acts and deeds of a mahatma, and their lives are marked by beneficial acts and self reliance. No one takes notice of dogs that howl at the moon and the stars, so why should anyone take notice of what the naysayers are saying? In this letter, Baba says that naysayers and critics have no comprehension of the glory and the reality of the One they are criticising. If they knew, they would remain silent. 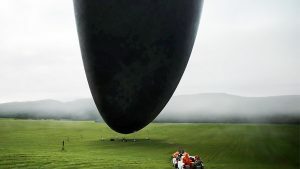 Arrival had its world premiere at the Venice Film Festival on September 1, 2016, and was released in the United States on November 11, 2016 by Paramount Pictures. The film received positive reviews, and praise for its story, sustained intense and suspenseful atmosphere, and lead actress Amy Adams’s performance as the linguist, Louise Banks. There are star people (called heptapods), there are communication issues, there is mass panic and ultimatums from the military. There are also multiple time lines and realities in this visual narrative of human encounter with starpeople.